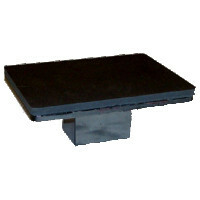 This 6"x8" lower table replacement is fit for the Geo Knight DK8, DK8T, DC8, DC8AP, DC16, & DC16AP heat presses. The George Knight DC & DK series heat presses are designed with interchangable drop-on tables for working with different sized products. They are easily replaceable and come in many sizes to fit your needs.